Massive is led by Anthony D’Elia. Anthony began his career as a designer at Hearst Magazines for Harper’s Bazaar in the late 80’s. He was appointed to the post of Design Director of Hearst’s Magazine Development Group in 1993. In this position, Anthony oversaw the creative launch and development of many successful magazines including: Smart Money, Living Well, Countryside, Marie Claire, ESPN Magazine, and Bob Vila’s American Home. Anthony left Hearst in 1996 to launch Big Designs Inc.
Big Designs was a full Creative and Marketing firm with a broad portfolio of Fortune 500 Companies. On both coasts, Big Designs earned a reputation for being one of the premier design firms in the industry. In its early stage, Big Designs was know for its magazine design/redesign, new magazine startups, publication maintenance, and custom publishing. Big Designs’ expertise transcends to emerging media as well. During the inception of the web, Big Designs quickly realized the opportunity that was unfolding. Big Designs early history of web creative and development included partnership with former industry giants: 24/7 Media and Barry Diller’s ground breaking, USA Networks-ECS . With clients such as American Express, Polo Ralph Lauren, and Good Times Entertainment, Big Designs earned the reputation as a leading design firm in emerging media. Big Designs Inc was acquired by Alliance Data Systems in 2006. 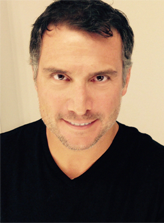 Anthony served as Chief Creative Officer ADS working directly with the company’s roster of premier clients and ADS national sales teams. While at ADS, Anthony and his team earned the company record for ‘largest new account won in shortest time frame’ (from pitch to contract – less than 4 weeks). Since 2007, Anthony has been involved with several new startups, business acquisitions and consulting relationships, in addition to the creation of Massive, a premier creative and marketing consultancy. Massive continues the tradition of being one of the most capable and respected Creative and Marketing firms in the industry. Massive presents clients with over 20 years of experience in nearly every industry ranging from Fashion, to Home and Construction, to Technology… to Space! Anthony and his team have gained a reputation for offering superior creative and providing valuable marketing solutions.“At Massive, we live and die for client ROI!” Massive is, simply, cost-effective and highly creative. Whatever the initiative might be, Massive has the experience, talent, depth and enthusiasm for the project.